Changing something as simple as a Water Pump or Timing Belt on a Testarossa requires you to drop the whole engine/transmission assembly because it is sandwiched an inch from the firewall. 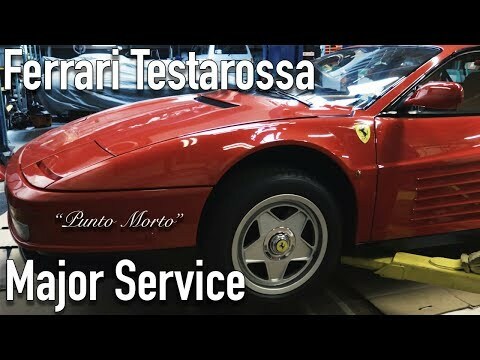 This is my Major Service journey into the Ferrari world of the 80’s, rudimentary for today’s standards but was the best you could get in it’s day. I didn’t get a chance to record the last 30% of the job as it takes a really long time to film while trying to do the work. “Punto Morto” is the Italian for “Top Dead Center” and I found it a suitable name for this video. Subscribe for more and enjoy the video! Dead channel. He went bust. What’s the song at 4:00? First 15 mins until the engine is out … with no value add to those 15 mins for the viewer. Start from here.